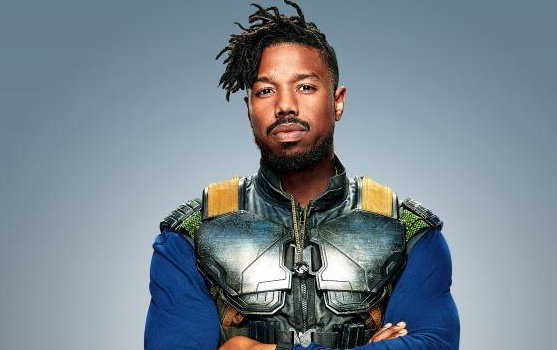 A well-known American actor is named as Michael Bakari Jordan who is best known for his film roles as shooting victim Oscar Grant in the drama Fruitvale Station (2013), professional boxer Adonis Creed in the Rocky sequel film Creed (2015), and antagonist Erik Killmonger in Black Panther (2018). He is very talented as well as an active actor. His television roles include Wallace in the HBO series The Wire (2002), Reggie Montgomery in the ABC soap opera All My Children (2003-2006), Vince Howard in the NBC drama series Friday Night Lights (2009-2011) and more. For playing drug dealer Wallace in the HBO’s crime drama television series The Wire in 2002, as Reggie Porter Montgomery in All My Children from 2003 to 2006, as Vince Howard in the Friday Night Lights from 2009 to 2011, and as Alex in the Parenthood. 'Black Panther' Star Michael B. Jordan Hopes Travis Scott Won't Perform at Maroon 5's Super Bowl Halftime Show. Michael B. Jordan has joined the chorus of stars asking Travis Scott not to perform in the 2019 Super Bowl halftime show. Scott is rumored to be taking a spot alongside Maroon 5 at the halftime show for Super Bowl LIII next year. Many major acts have already turned the job down in solidarity with Colin Kaepernick and other NFL protesters, and many stars are urging Scott to do the same. Michael B. Jordan is not happy with Travis Scott. Nicki Minaj Very Publicly Hitting on Michael B Jordan at the 'PCAs' Is a Full-On Mood. While accepting her Female Music Artist of 2018 award at the People's Choice Awards, Nicki ended her speech by saying, "Shout out to Donatella Versace for custom making this outfit for me, and shout out to Michael B Jordan cause he's going to be taking it off of me tonight," and then she winked. It's not clear whether or not she was being serious or just shooting her shot with the very, very handsome actor, but either way I stan a legend who is not afraid to make her move in front of the whole world. Jordan was born on 9th February 1987 in Santa Ana, California to Michael A. Jordan, a caterer and Donna (nee Davis), his parents. His nationality is American and his ethnicity is African-American. His horoscope is Aquarius. Talking about his siblings, he has an older sister, Jamila Jordan and younger brother Khalid. Regarding his education, he attended Newark Arts High School. Michael has got a very hot and attractive body. Talking about his body measurement, he has a tall height of 5 feet 11.5 inches or 182 cm. He has a balanced weight of 69 kg. His hair color is black and eye color is dark brown. His other body measurement will be updated soon. With his charming smile, he attracts a lot of people towards him. Michael started his career as a child model for several companies and brands, including Modell's sporting goods and Toys "R" Us. Later, he made his career as a professional actor in the year 1999. At first, he appeared shortly in the episodes of television series named "Cosby" and "The Sopranos". He made his film debut in the year 2001 in Hardball. Later he played his role in the first season of HBO's "The Wire" in the year 2002. In the year 2003, he joined the cast of "All My Children". He also appeared in CSI: Crime Scene Investigation, Without a Trace and Cold Case. He made his lead role in the film "Blackout" and starred in "The Assistants". In the year 2008, he appeared in the music video "Did You Wrong". He began starring in the NBC drama Friday Night Lights in the year 2009. He was considered one of the 55 faces of the future by Nylon Magazine's Young Hollywood Issue in the year 2010. In the year 2013, Jordan starred as shooting victim Oscar Grant in "Fruitvale Station". He also guest-starred in an episode of "House" final season, playing a blind patient. He starred as Johnny Storm, the Human Torch, in "Fantastic Four" in the year 2015. He also starred as a villain in Marvel's "Black Panther" in February 2018. 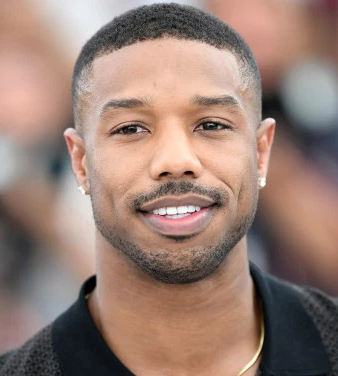 He starred in Fahrenheit 451 in the year 2018 and reprised his role as boxer Adonis Creed in Creed II, a sequel to Creed (2015) and the eighth installment in the Rocky film series. He is scheduled to portray Bryan Stevenson in a biopic titled Just Mercy, which is scheduled to shoot in early 2018. He is scheduled in the remake of The Thomas Crown Affair, The Matrix, and more. He then reprised his role as boxer Adonis Creed in Creed II, a sequel to Creed (2015) which was released on 21st November 2018. Michael is not married yet and still to get married. Currently, he is in a relationship with Ashlyn Castro. There are no further details regarding this relationship and neither of them has spoken regarding the future of the relationship. He is a very secretive person regarding his personal life. Presently, the couple is living a happy life and there is no any sign of separation between them. They are enjoying their life together. The net worth of Michael is surely in million as he is one of the famous actors. His net worth is estimated to have $8 Million as of 2018 and hope to be $15 Million as of 2019. He is earning a good amount of money from his work. His exact salary has not been revealed yet and will be updated soon. Jordan is very active in social media also. He is very popular in social networking sites such as Facebook, Twitter, and Instagram. He has more than 800k followers on Twitter, more than 5 Million followers on Instagram, and more than 1 Million followers on Facebook. He is gaining the attention of many people nowadays.